The Wilson Featherthin replacement grip offers comfortable and firm feel and is ultra-lightweight and feather thin, reducing the build-up of the racquet’s weight and grip size. Excellent replacement grip for my tennis racket! It is thin and doesn't increase the grip size as a cushioned one does. I also really like the fact that it isn't slippery and sticks to my hand, even when it's sweaty. Love it! 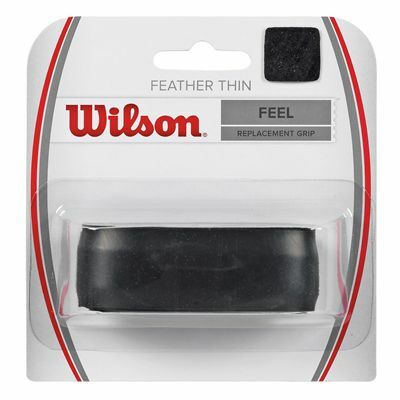 for submitting product review about Wilson Featherthin Replacement Grip.